One of the advantages of travelling for work is that I get to travel to places in Canada that I probably would normally never visit otherwise and this time, it was to Kamloops and Abbotsford both located in beautiful British Columbia (BC). Kamloops is situated in the interior of BC and is nestled within the mountains and is very desert-like, dry and arid. When I landed it was 19 degress celsius, sunny and clear blue skies! Just gorgeous. My colleagues and I were only there for a night and before flying off to Vancouver, we stopped at a local restaurant called Terra, recommended by a number of locals. It was a Wednesday night so the it wasn’t busy and it was warm enough to sit out on the patio – probably my last time this season 🙁 The menu looks fantastic and I choose the duck confit for dinner. The beets and coloured carrots taste great and the duck, what more can I say about the duck – moist and fall of the bone goodness! 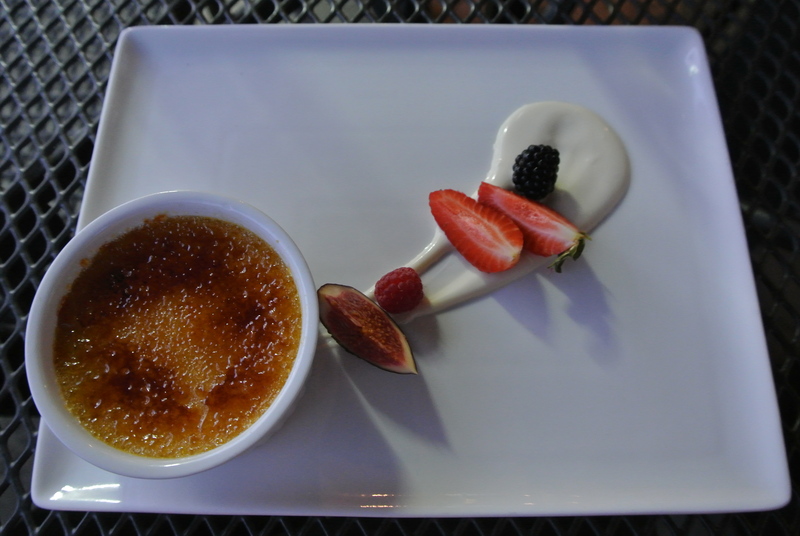 But I think the restaurant saved the best for last – a pumpkin creme brulee for dessert! Now, I’m not a fan of pumpkin pie but this creme brulee was just fabulous! Creamy with a slight pumpkin pie texture with the comfort of cinnamon and nutmeg! 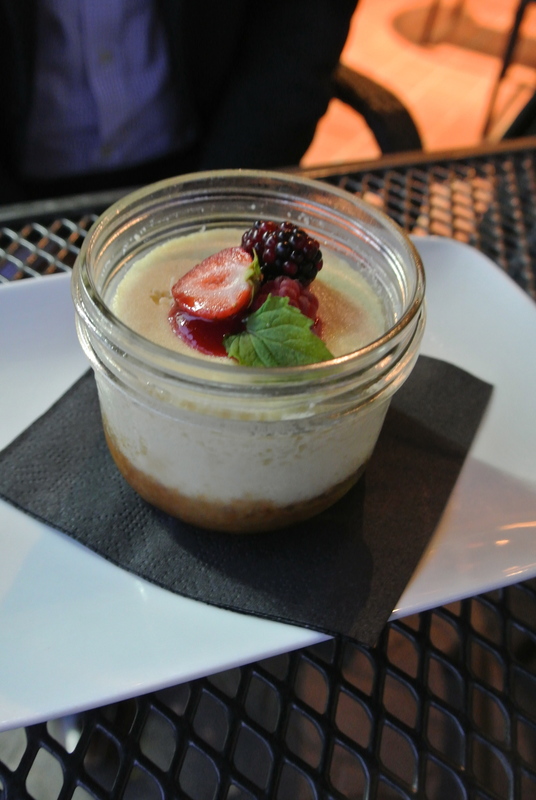 A fantastic dessert to cap off the night! Thanks Kamloops! 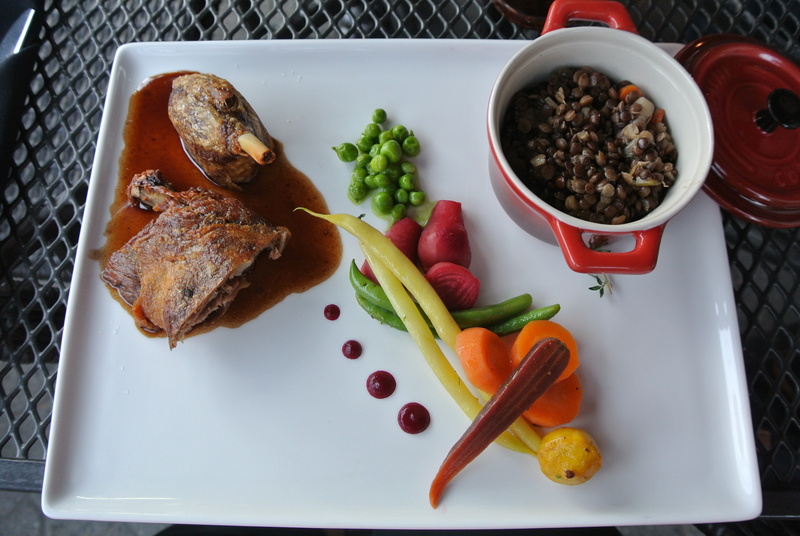 Crisp Duck Confit Leg – with smoked bacon and lentil stew and harvest vegetables! 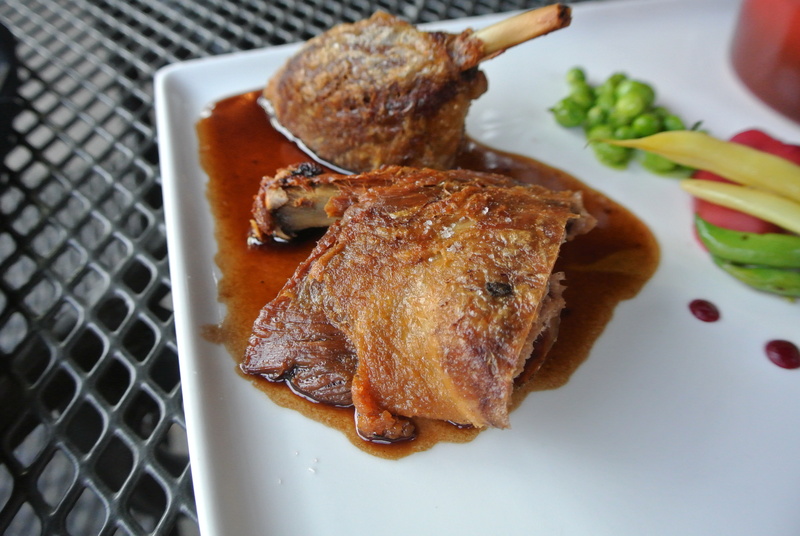 Duck leg – the skin was crisp and lay in a pool of mission fig jus! Salty and sweet! 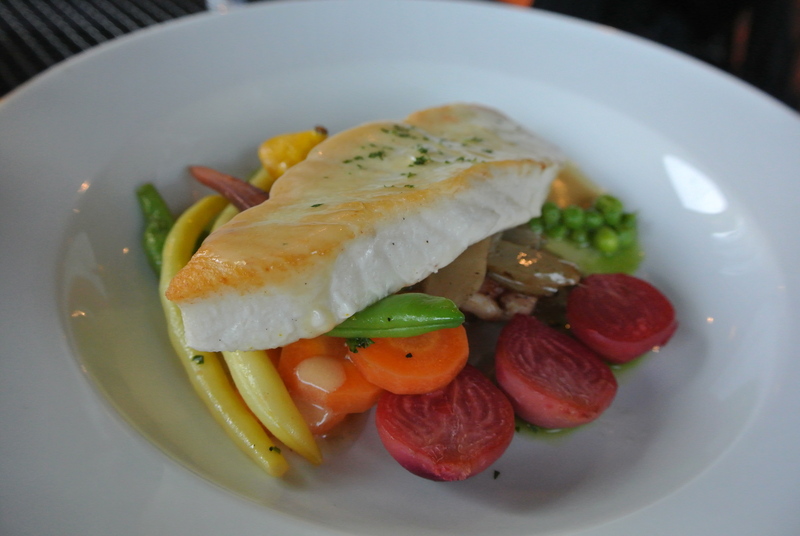 Special catch of the night – pan roasted halibut organic vegetables. Pumpkin Creme Brulee with maple creme fraiche! So delicious and comforting….thanksgiving in a dessert! 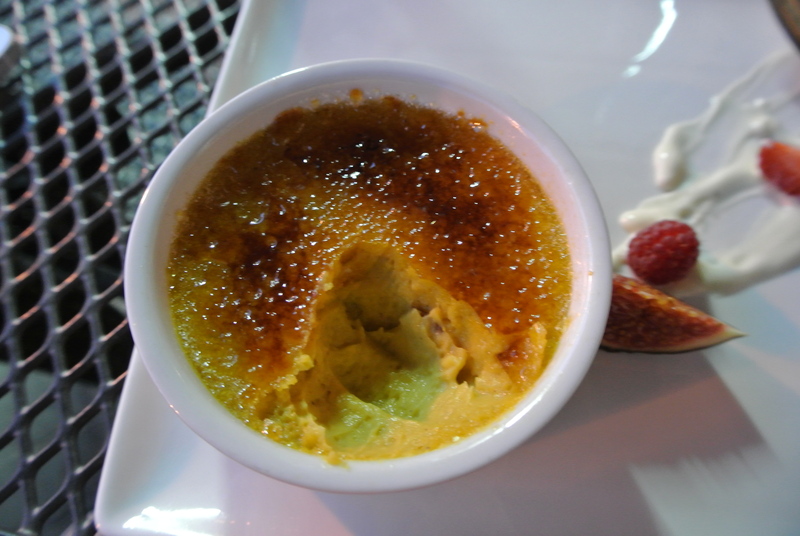 You can see the texture of the creme brulee, you can see the pumpkin puree! 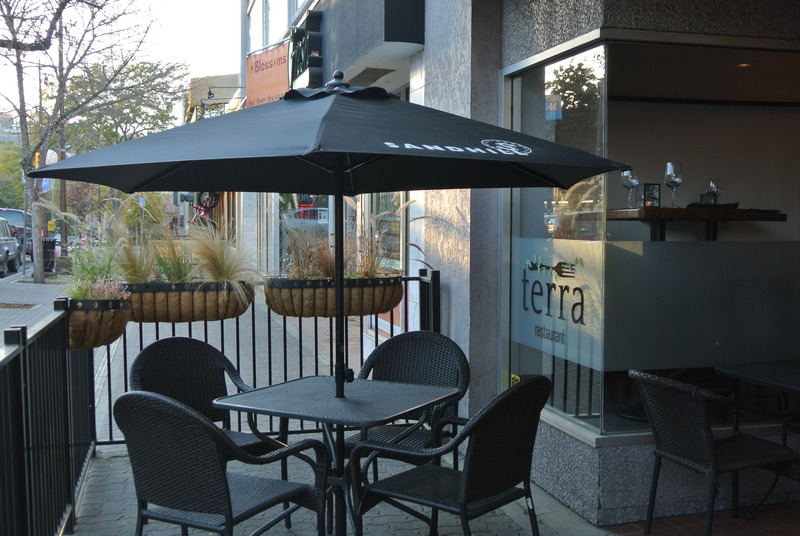 Terra Restaurant located in Kamloops.